Garth Fagan Dance will present its home season this week at Nazareth College's Arts Center, with rare first looks and Rochester premieres of two new works. The company will premiere "In Conflict," a four-part piece choreographed by Fagan and set to music by composer Arvo P#rt, and "A Moderate Cease," which was choreographed by Norwood Pennewell to music by Steven Isserlis. It's important to note that the last time Rochester audiences had a first look at a Garth Fagan Dance work was September 2009 with the company's piece "Mudan 175/39," which will be reprised during this home season program. The 2016-17 season is the Garth Fagan Dance School's 25th anniversary, and the School Ensemble will perform during the December 3 and December 4 matinee performances. For CITY's review of the home season opening night, check out rochestercitynewspaper.com on Thursday. 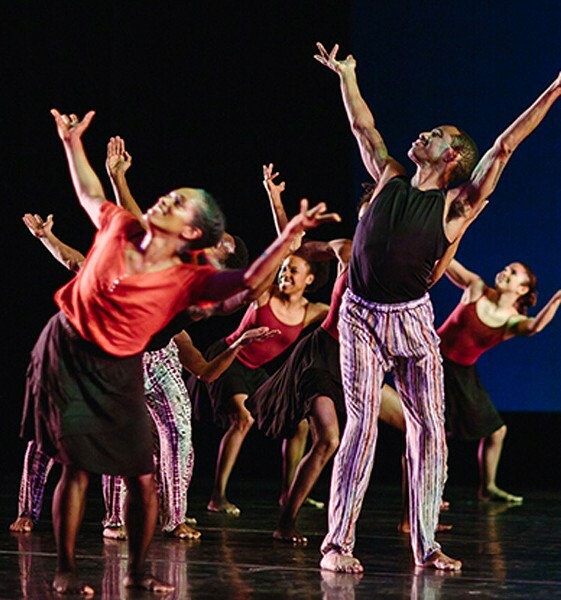 Garth Fagan Dance will perform at Nazareth College's Arts Center, 4245 East Avenue, on Wednesday, November 30, 7:30 p.m.; Friday, December 2, 8 p.m.; Saturday, December 3, 2 p.m. and 8 p.m.; and Sunday, December 4, 2 p.m. $36-$75. 381-2170; boxoffice.naz.edu; garthfagandance.org.